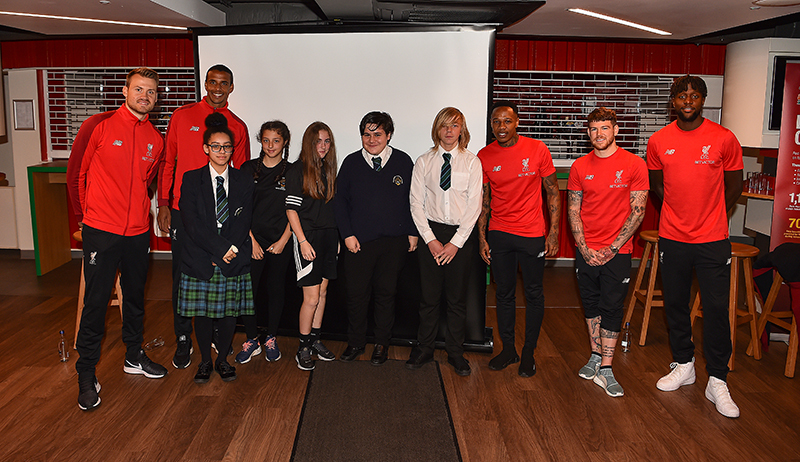 Our students got much more than they’d reckoned for on a recent trip to Liverpool Football Club. 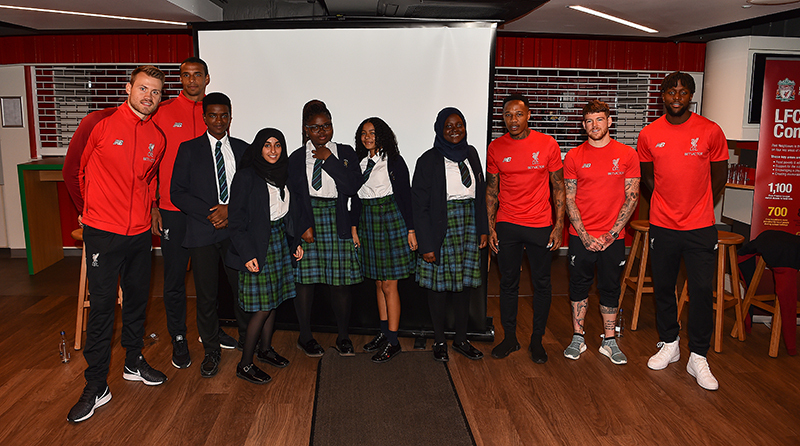 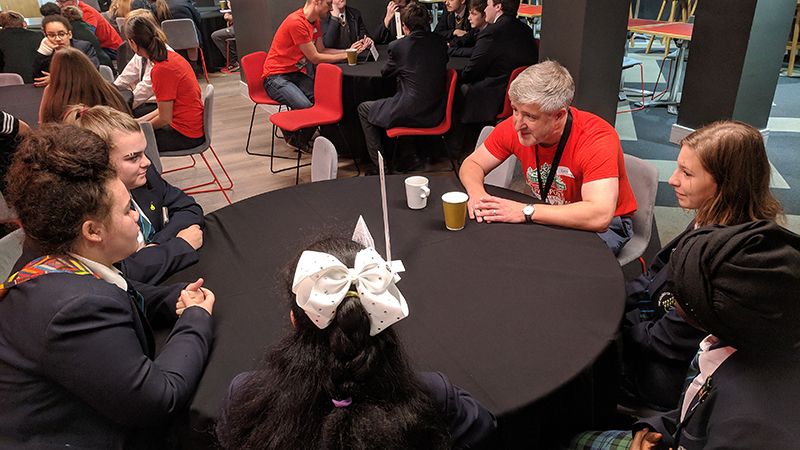 Specially selected Year 10 students have been trained to mentor Year 8 students by ‘Humanutopia’ and, as a reward for their hard work and dedication, they were chosen for a Speed Careers Networking evening at Anfield organised by Red Neighbours. 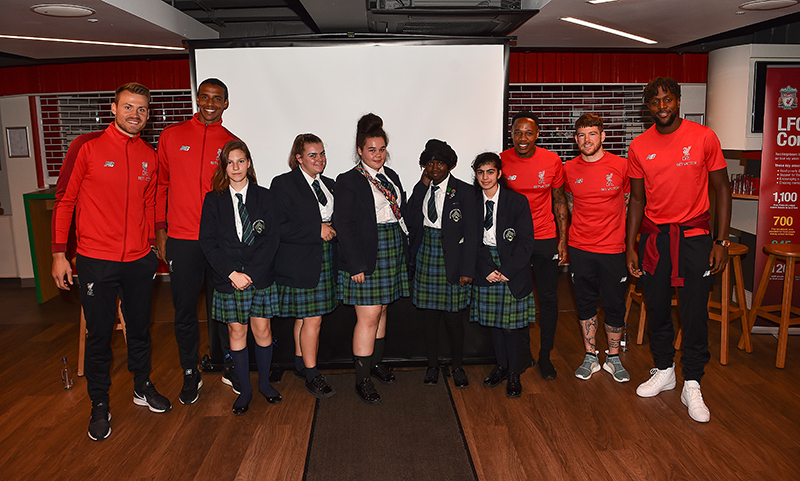 Fifteen of our Humautopia “Heroes” got the chance to talk to employees of Liverpool Football Club and special guest, Margaret Aspinall. 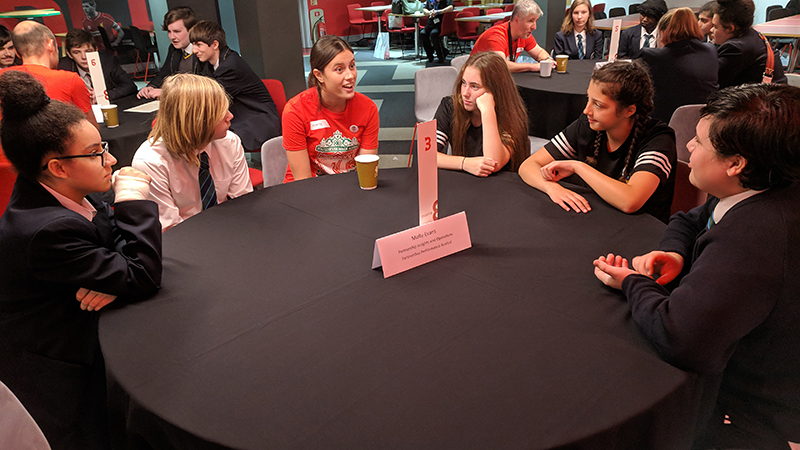 In short sessions, the students were able to ask questions of the employee at their table, asking them anything they wanted to about their jobs and background. 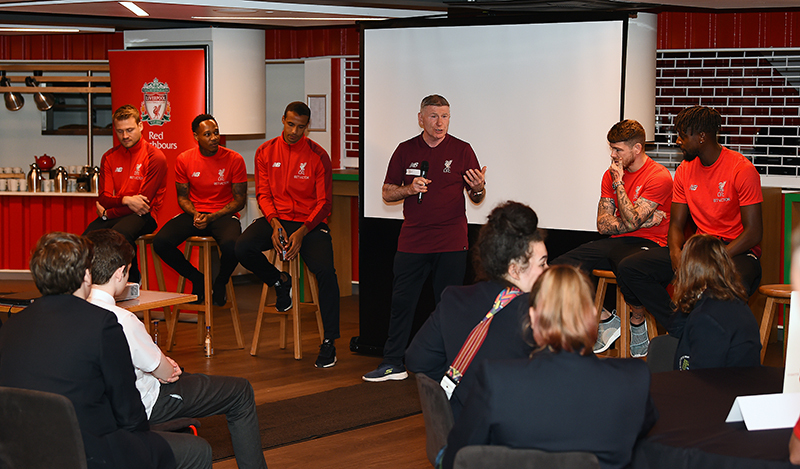 After three sessions, Bill Bygroves, the LFC Chaplain, paused proceedings to welcome in some special guests: five Liverpool First Team players walked in to great applause and many open mouths! 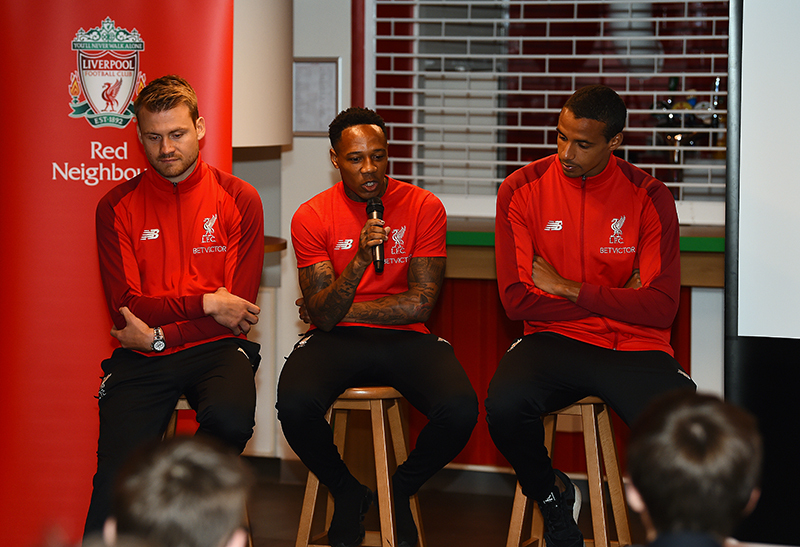 Simon Mignolet, Joel Matip, Nathaniel Clyne, Alberto Moreno and Divock Origi all took seats in front of the assembled students, some still in shock! 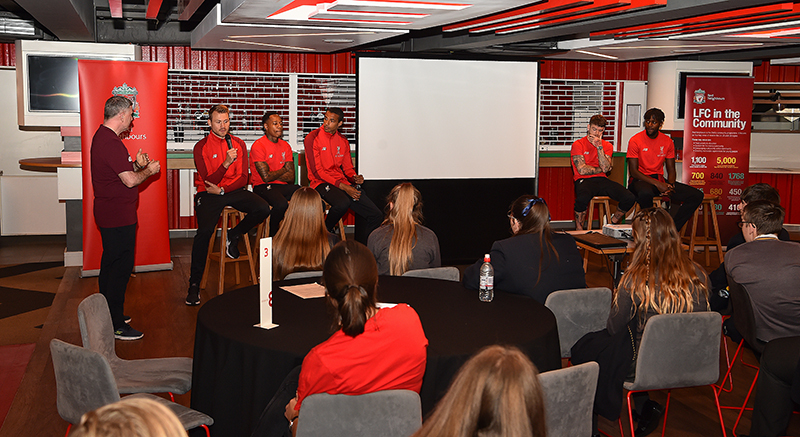 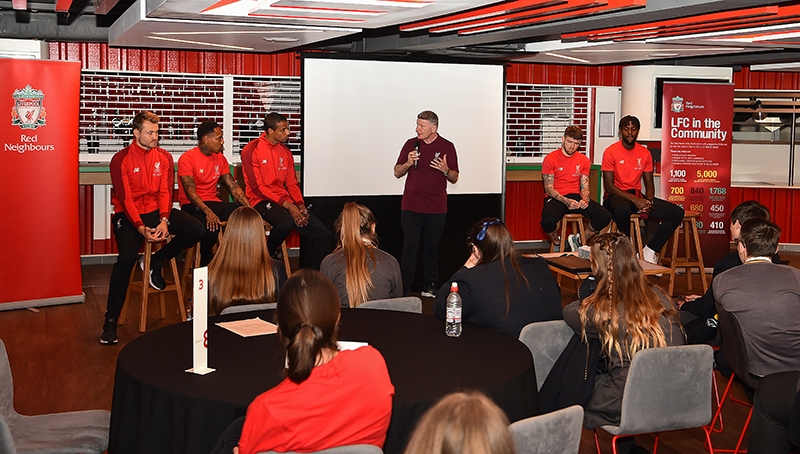 Bill then hosted an insightful question and answer session with the players about their backgrounds, what they thought of Liverpool as a place to live and even their favourite subject at school. 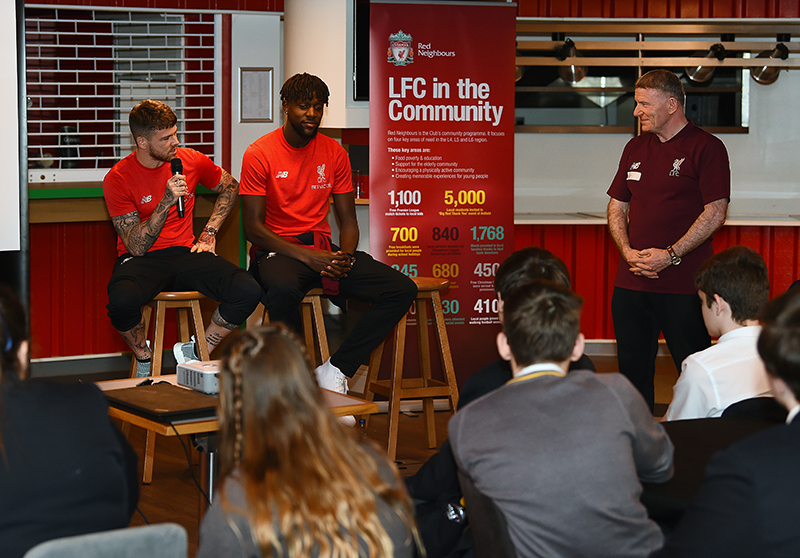 Who would have guessed Divock Origi’s was Biology or that two others would say “Maths”? 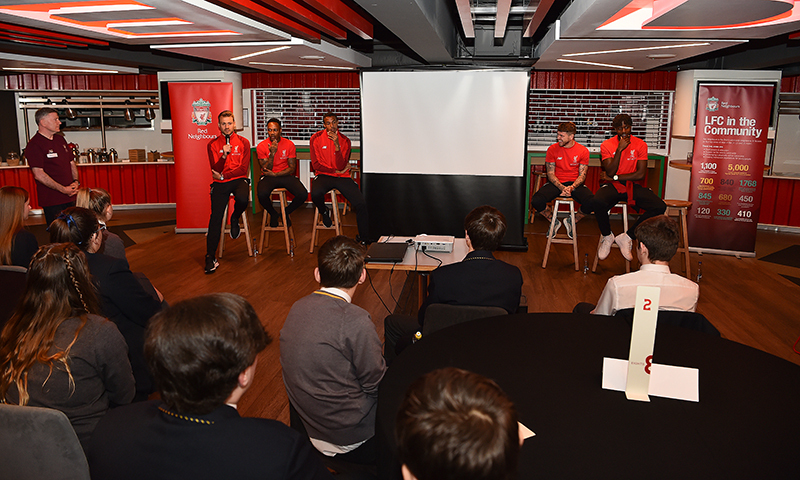 Before leaving, the players posed for photographs with students and then the event resumed. 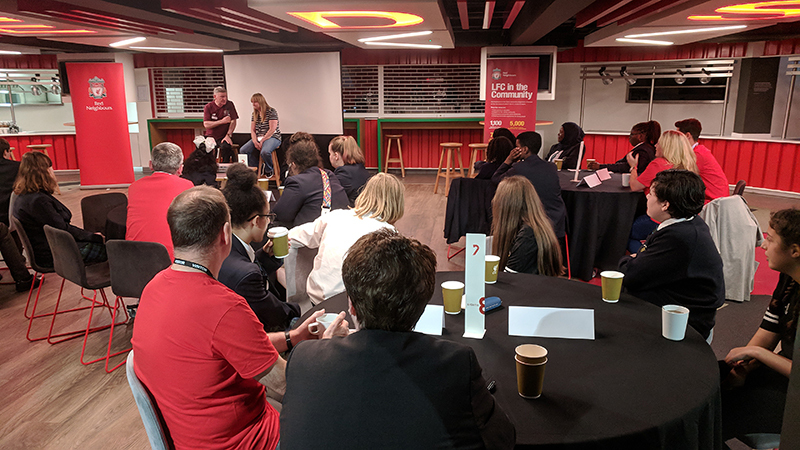 If the attendees weren’t moved by the arrival of the players they were all wowed by inspirational interview with Margaret Aspinall. 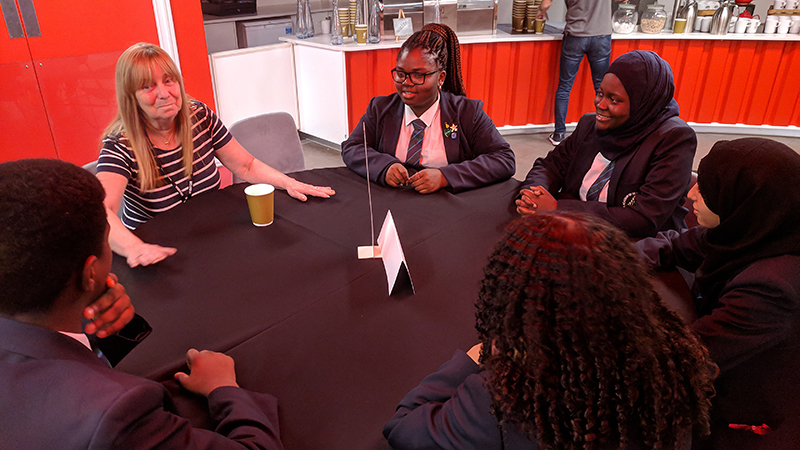 She gave an emotional and funny account of her life and event before and after the Hillsborough disaster and left the students with a more thorough understanding of the events that happened. 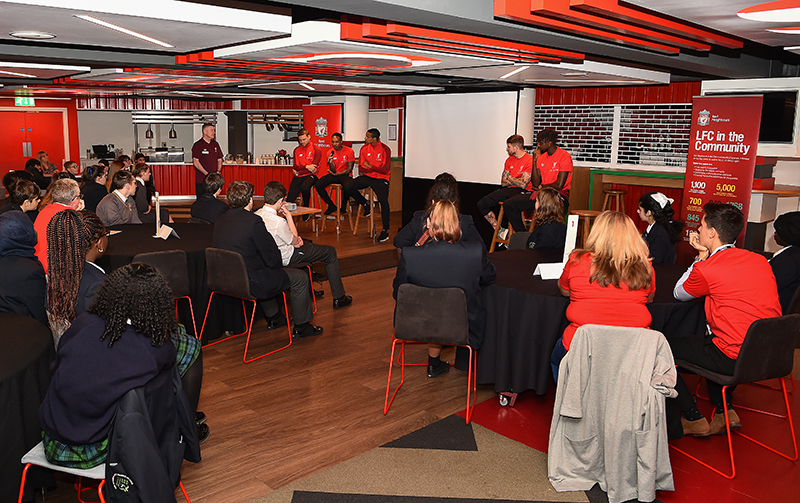 The day was a full success and a fantastic time was had by all. 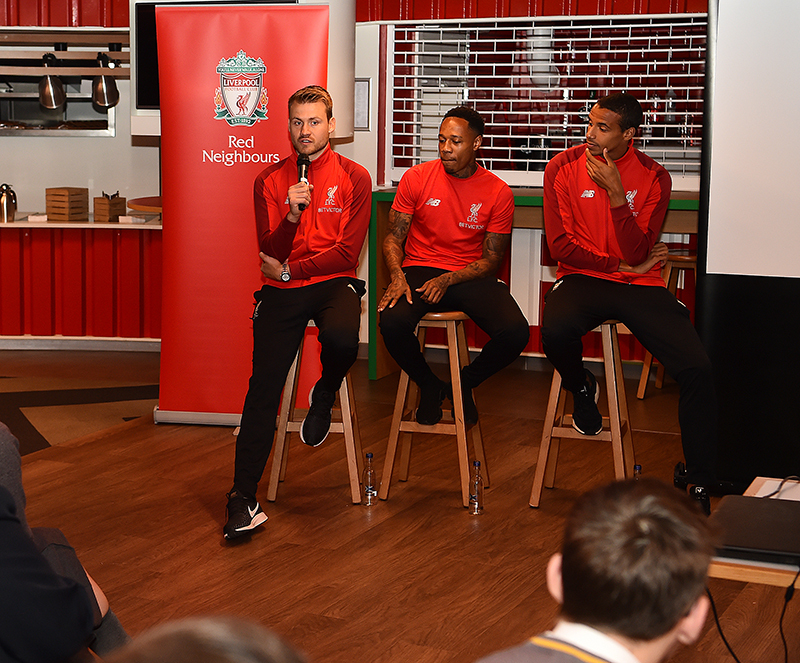 We all look forward to our next outing!